However, the UK’s position as a world leader in the provision of international business services is under threat. The move of regulation from the UK to EU institutions is an important reason for the halt to growth. The UK’s financial services industries have increasingly been subject to harmful and unsympathetic regulatory interventions from the EU. The rapid growth in the UK’s financial services industry in the 40 years to 2008 now lies in the past. EU-level regulation is more costly, cumbersome and inefficient than the previous regulatory structure under the UK’s own control. The UK has no veto. This is one reason, although only one reason, why a radical re-appraisal of EU membership has become essential. 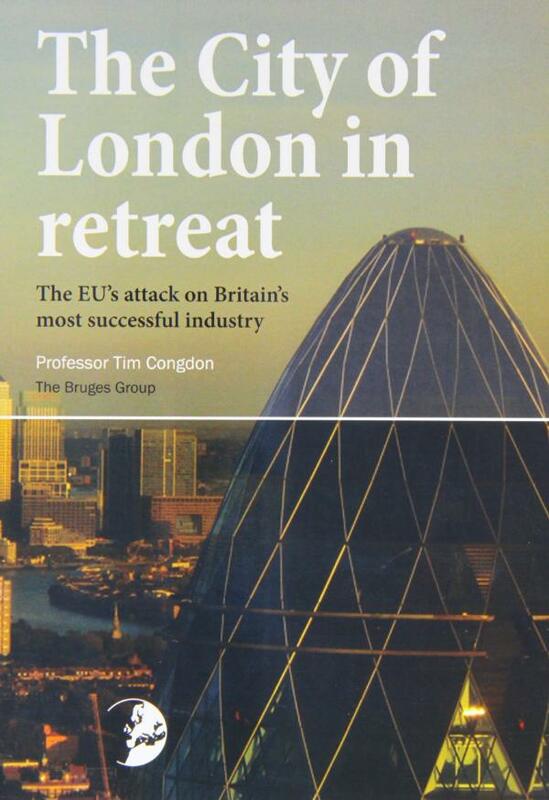 Professor Tim Congdon is one of Britain’s leading economic commentators. He was a member of the Treasury Panel of Independent Forecasters (the so-called “wise men”) between 1992 and 1997, which advised the Chancellor of the Exchequer on economic policy. In 1989 he founded Lombard Street Research, a leading research consultancy in the City of London. In 2009 Professor Congdon founded International Monetary Research Ltd. This organisation analyses developments in money and banking, advising companies, financial institutions and interested individuals on their wider macroeconomic impact. He was an honorary professor at Cardiff Business School from 1990 – 2006 and a visiting professor at Cass Business School from 1998 – 2004. He has written a number of books on monetary policy, contributes widely to the financial press, and makes frequent radio and television appearances. He was awarded the CBE for services to economic debate in 1997. Professor Congdon is also the author of the Bruges Group paper, Will the EU’s Constitution Rescue its Currency? Professor Congdon is a member of the Bruges Group’s Academic Advisory Council.